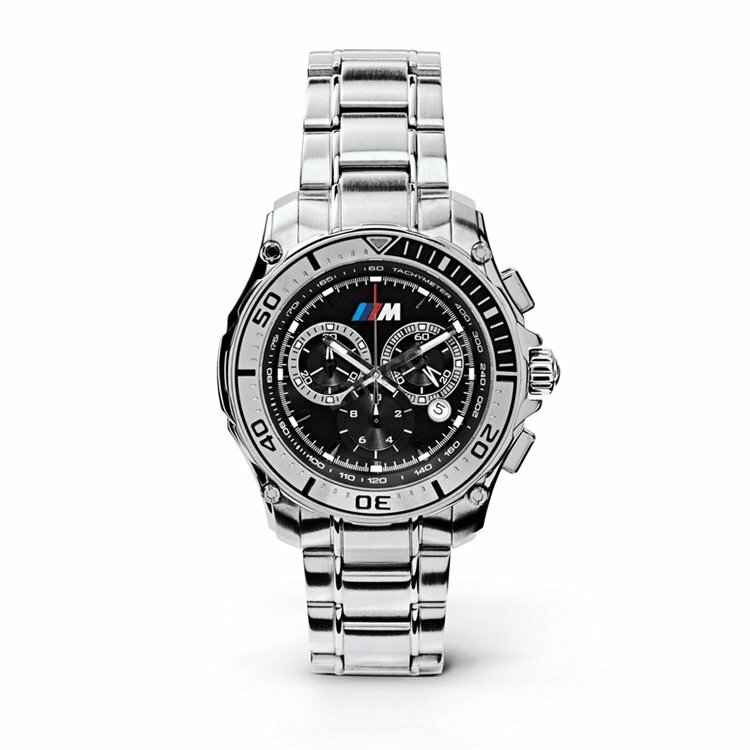 The BMW Lifestyle Mens M Chrono Watch. The BMW Lifestyle mens M Chronograph watch has a brushed stainless steel case and watch face with a BMW M Design. Highlights included flourescent white tips on the hands and hour markers. The interior houses a precise swiss quartz movement made by RONDA. The back has a BMW logo, engraved by laser. Stopwatch, date display and small second display are on the front face of the watch.